Hello! 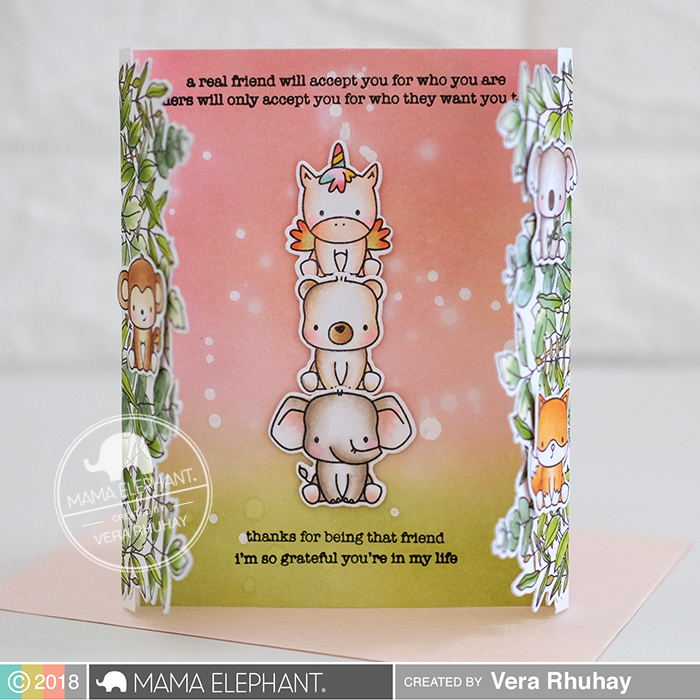 Vera here and today I have a sweet friendship card to share with you featuring Friendship Sentiments with a few of the January release. 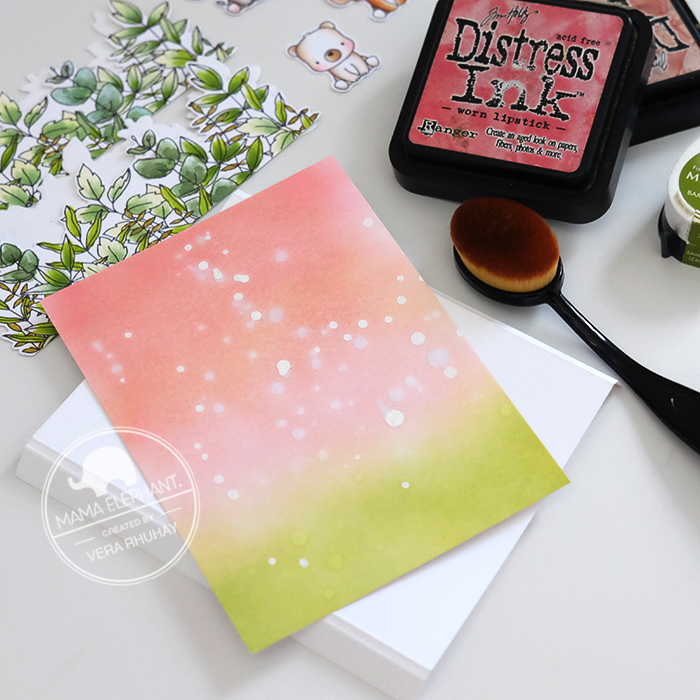 I started by stamping the Stackable Cuties and Wild Meadow on Bristol paper, colored with Copics and Watercolor brush pens and then I cut them out with the coordinating Stackable Cuties - Creative Cuts and Wild Meadow - Creative Cuts. I inked blending white card stock with distress ink and dye ink pads then cut with size 4 1/4" x 5 1/2", and this would be placed on the center of the based card. 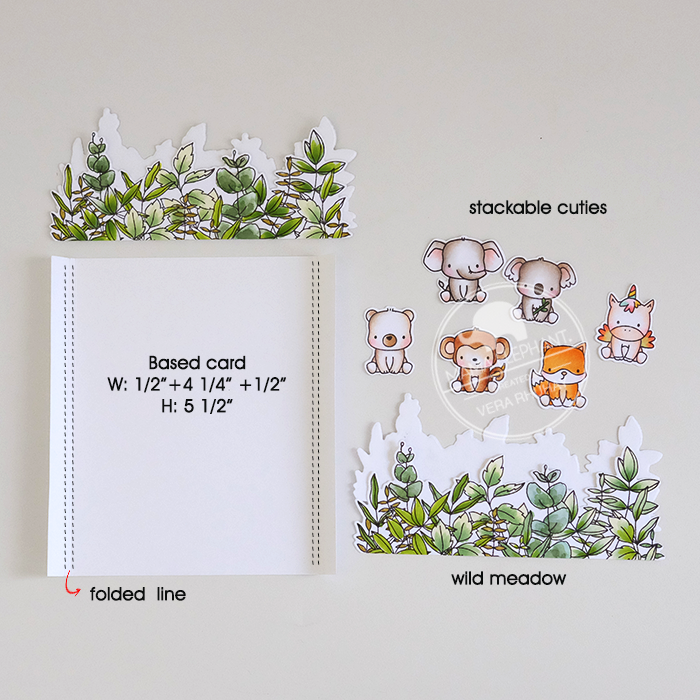 I placed the Wild Meadow images on the left and right side, and start re-arrange the Stackable Cuties images before I stamped the Friendship Sentiments. And here the finished look. 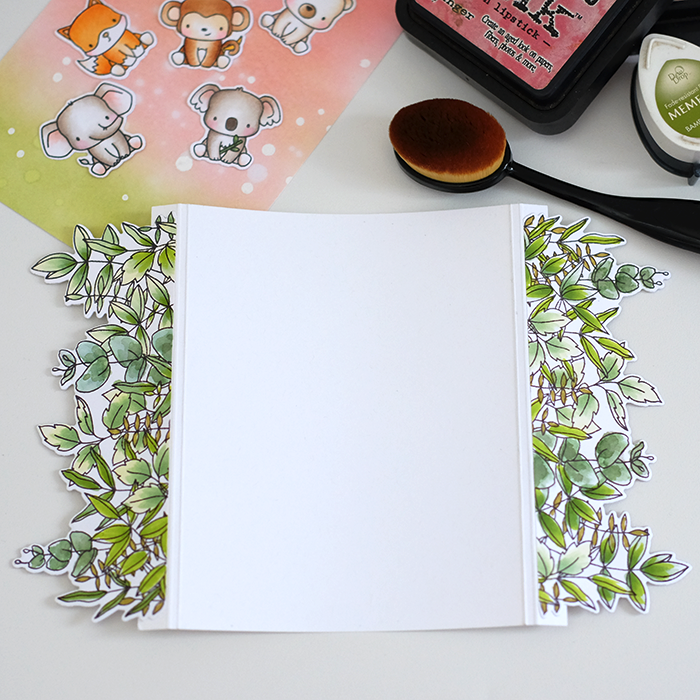 I decided, to add another images from Stackable Cuties on the back to finish my card. That's all from me for today. I hope you enjoyed my project. Thank you so much for stopping by! 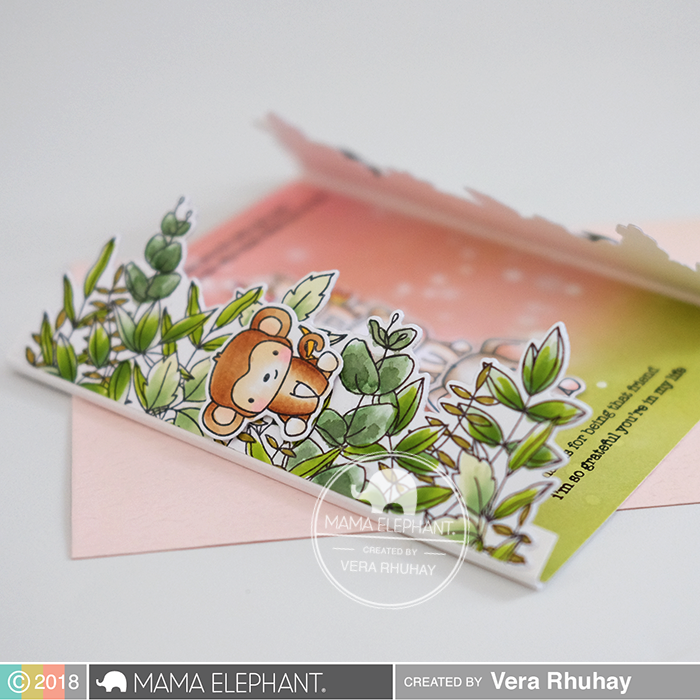 Your first card is just the cutest EVER!! I love the second one, too, but the first one is my absolute favorite. Thanks for all the details. I love how Wild Meadow became a jungle. So very cute. I love that first card a lot! 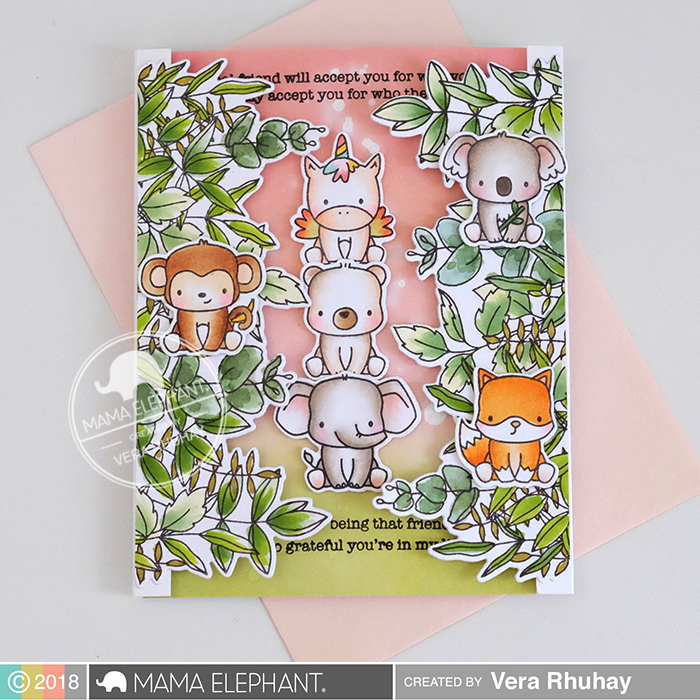 So cute and lovely design!